On Saturday, October 25, knock at the door of John Brown Esq.&apos;s mansion on the hill and step into the year 1800 in Providence! What Cheer Day at the John Brown House Museum is a day in the life of the Brown family, their visiting friends and townspeople, and household staff in 1800. 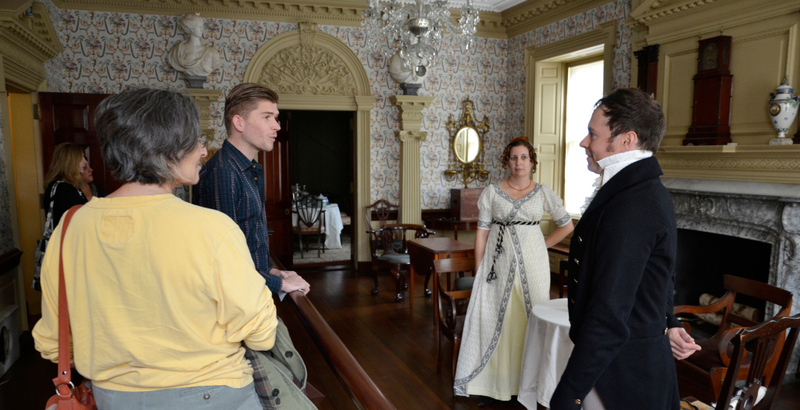 You can roam through all three floors of the house interacting with interpreters, observing their activities and conversations, and of course asking them questions! Guests will even have a chance to sample foods from the 18th century and play historic games on the lawn. Elyssa Tardif, Ph.D, has served as the Director of the Newell D. Goff Center for Education and Public Programs at the Rhode Island Historical Society since 2011.